Steve Munisteri chairman of the Republican Party of Texas has done a great job with the Grassroots Club. 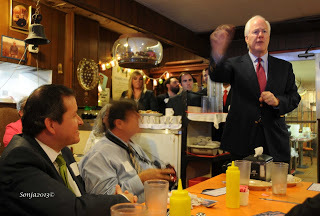 On April 1, the Grassroots Club members were invited to a brunch at Cisco’s Restaurant in Austin with Senator John Cornyn. To help grow the membership, Munisteri initiated this first brunch and was satisfied with the turnout and will have events like this one for its members in the future. For only $8.25 per month you not only help the Texas Republican Party, but get a few perks as well. As members, Bill and I decided to attend because I wanted to hear Senator Cornyn explain his vote on the Continuing Resolution on the Affordable Health Care Act, ObamaCare. Members were able to ask Senator Cornyn questions he failed to address during his very light, less then 7 minute speech to the attendees. 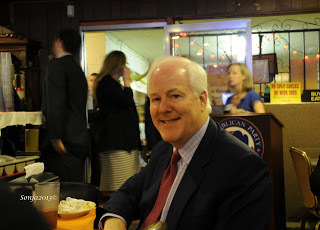 Cornyn’s speech had the usual rhetoric on jobs, economy, budget and employment. Unfortunately the Obama Administration is just not cooperating with the Republicans. Obama is not saying anything different now than what he has said in the past on the economy. Cornyn addressed the question about our aid to foreign countries that don’t like us, like Egypt and Pakistan. But he also explained that the aid we give to Israel comes right back to us. Israel spends every penny to buy arms, weapon systems and planes from the United States to defend themselves. He was questioned on all the ammunition that is being bought by the Obama Administration. He said that the administration has not given any answers and finds that scary. In fact, he said, he is not even sure that this is a fact, but would not doubt it. 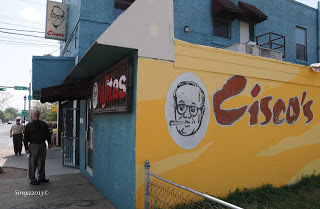 He is currently looking into these allegations. I just received the following information on the ammunition being bought by the Obama Administration, from Senator Ted Cruz’s office on April 2, 2013 at 2:29 pm. It looks like a tally dated January 2013 on where the ammunition is going. I think I will pass this information on to Senator Cornyn. Maybe he just received this information also? There were two questions from the floor that interested me, and I transcribed his answers from my digital recorder so that you know exactly how he answered. CAN YOU EXPLAIN WHAT YOU DID OR DID NOT VOTE FOR LAST WEEK ON OBAMACARE CONCERNING THE AMENDMENT AND THE RESOLUTION? Thank you. That’s been another one of those pesky things that have been floating around. I was proud to co sponsor, Ted Cruz’s amendment to repeal and defund ObamaCare. I have done that so many times. I can’t tell you how many times I have done that now, and have to count them up, maybe I would have to take my shoes off… but the fact of the matter is that ObamaCare is going to bankrupt our country. We were also successful in the Continuing Resolution and that is the Appropriation Bill that kept government funded through September 31, through the end of the fiscal year. We were able to withhold about another billion dollars in funds that implements ObamaCare. But I did vote for the Continuing Resolution because it kept the appropriations down at the level of the Sequester. In other words, it did not give the 85 million dollars back and it kept the government operating and it kept our Defense Department. It gave them some additional flexibility, I thought they needed in order to keep us safe. So there was some rumor that somehow I voted to fund ObamaCare or voted against defunding it. This is not correct. IMMIGRATION, ANY UPDATES YOU CAN GIVE US ON THIS? I think our current immigration system is broken. That is pretty obvious. I think to anybody. My friend Marco Rubio calls us a ‘de facto’ amnesty now. And we have to stop the source which means not only do we need to secure the border, but we also have to deal with the 40% of illegal immigration that comes from people who enter the country legally but overstay their visas. That’s the part that most people are not as aware of, because there is no tracking system whatsoever. They melt into the landscape. Now, it’s a simple fact of life, I think, in politics and particularly in the state like Texas, we need to do a better job of being inclusive and talking to everybody and getting everybody up to the table and talking about this issue. We can not send this message that we don’t welcome different people, but we do. We believe that legal immigration is important and we oppose an illegal immigration system. There is also, the last thing I will mention, parts of this are a consensus items, like for example, people get masters degrees and PhD’s in math, science and engineering at the UT of Texas and Texas A&M and we kick them out. Even though there are a lot of jobs that they could help create if we allow them to stay here. We are not producing enough qualified American Citizens in those areas. First of all we should produce more Americans who are highly qualified to do the jobs. But I don’t see anything wrong with allowing people who have a lot to offer this country to help grow our economy and who really want what we all are blessed to have which is the American Dream. Why we shouldn’t have a legal orderly system to allow that to happen.